A modern styled two-layer insulated ski jacket with a technical edge. 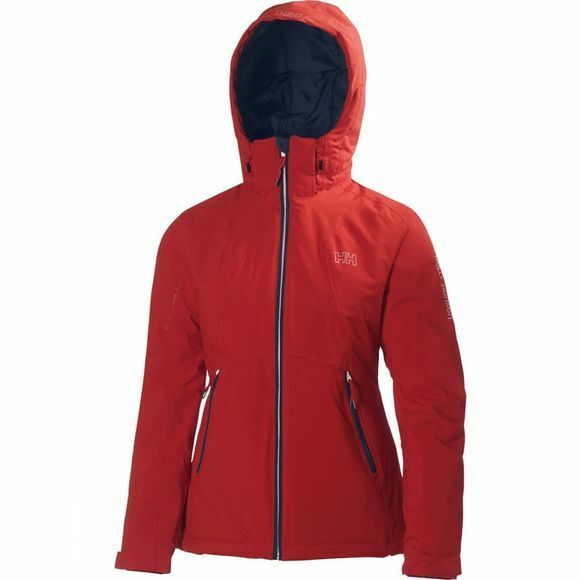 Get on the slopes in the fully featured waterproof, breathable, Women's Spirit Jacket. Fully insulated with PrimaLoft thermal protection for winter squalls, or while waiting for your friends on the slope. To enhance your comfort we have added Helly Hansen's highly innovative H2 Flow system turbocharging mechanical venting to keep you dry, warm or cool depending on the outside conditions. All ski specific features throughout including snow skirt and ski-pass pocket.